What was the most unusual (for you) book you ever read? Either because the book itself was completely from out in left field somewhere, or was a genre you never read, or was the only book available on a long flight… whatever? What (not counting school textbooks, though literature read for classes counts) was furthest outside your usual comfort zone/familiar territory? And, did you like it? Did it stretch your boundaries? Did you shut it with a shudder the instant you were done? Did it make you think? Have nightmares? Kick off a new obsession? There are a couple of books that I’ve read that are out of conformity for me. Most of them are for school. I’ll tell you the books and what I thought about them. 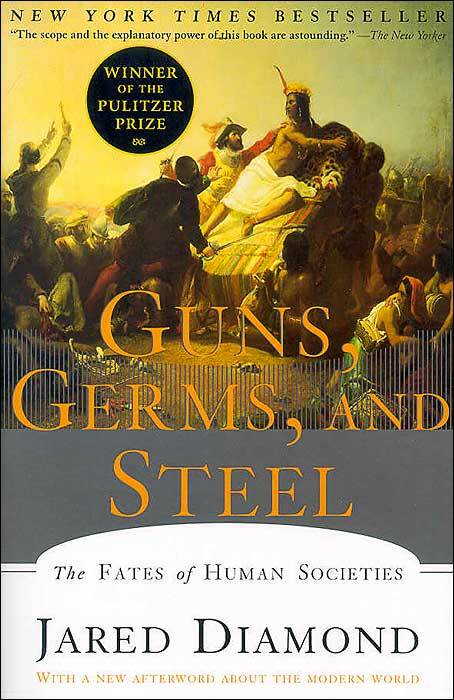 Guns, Germs, and Steel by Jared Diamond: I had to read it for AP World History last year. It is really, really long, nonfiction, and did I mention really long? It taught me a lot and made me appreciate the way history occurred, but I think it could have done that in less pages and with more interesting topics in the chapters (one chapter was only about plant pollination… boring!). I didn’t really like it overall, but it did make me think. Ishmael by Daniel Quinn: Another book I had to read for AP World History. This one was actually better. It was interesting and easy to read. It was also fiction, which was great. Ishmael made me think about the future of humanity and what I can do to change it. Of Mice and Men by John Steinbeck: I read it for English class this year and really enjoyed it. At first it was hard to get into but everything after 90 pages was great. It was very well written and opened me up to older books. Without English class I probably wouldn’t have read it. Fahrenheit 451 by Ray Bradbury: It was a good book. It entailed a story about our government and the future that could happen if we let it. I really related to this novel because of our government now. 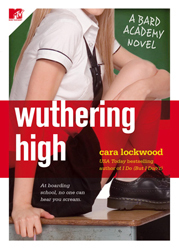 Wuthering High by Cara Lockwood: This book was okay. I’d never really been into fantasy novels. My friend lent it to me and said it was super amazing. It was alright. I’m still not much of a big fantasy fan. Now it’s your turn. Tell me about books you’ve read that are unusual for you to read. Did you like them? Why or why not? I’d love to hear from you guys in the comments! Vicki- Hehe, you’d be amazed by what exceptional books you find if you branch out.